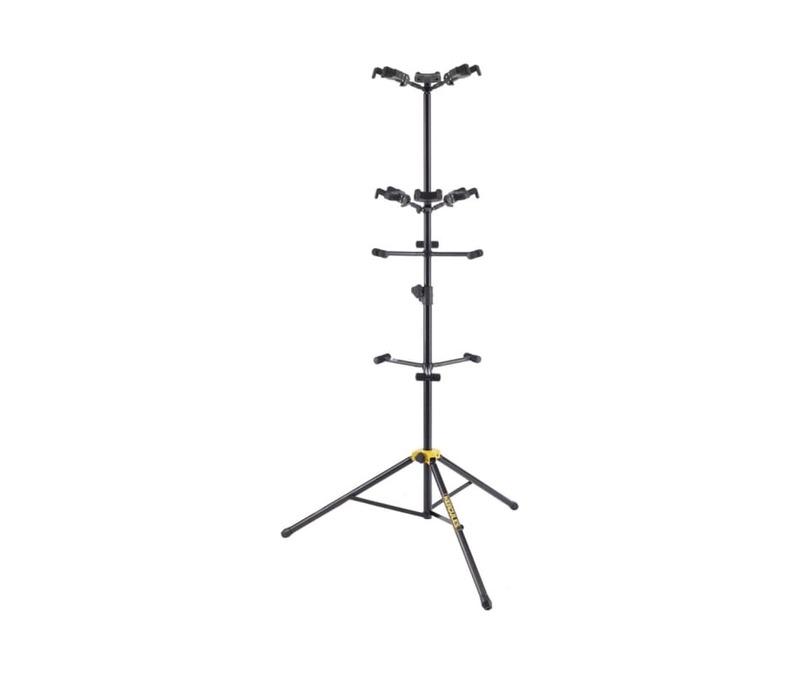 The GS52B has a folding Auto Grip System (AGS) that holds your instrument on the stand. Simply flip the AGS up into place, and when you're ready to pack up, pull out on the sleeve and fold it down. The Auto Grip System is driven by the weight of the guitar or bass. When placed in the yoke, the housing slides down, rotating the arms to secure it. When you are ready to play, lift up on your instrument and the AGS automatically releases.